Holy Dancing Salami! Did Stacy Ritter Team Up With Judy Stern? 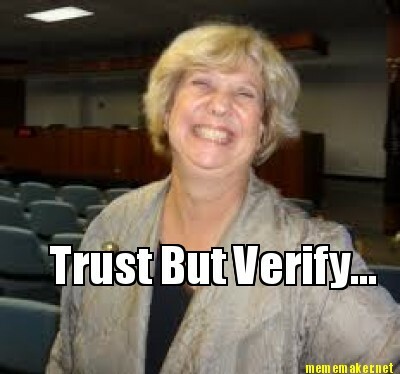 Did Broward’s favorite dancing commissioner just enlist the aid of uber-lobbyist and salami sandwich doyenne Judy Stern? Tipsters told us about a recent luncheon for Stacy Ritter (D-Booby Trap) hosted by Stern, but Ritter’s latest campaign report offers more proof. Ritter paid $8000 to The Kitchens Group for “polling and research”. Another Stern favorite, Fl State Rep Joe Gibbons (D-Jacksonville) paid $5,500 to The Kitchens Group. Gibbons paid Judy $4,694.90; Damn the price of salami has really gone up. Heck, Julio Gonzalez only paid Judy $3,575. “Israel told Kitchen that the bill was the responsibility of his former campaign manager Judy Stern, who often works with the Kitchens Group. ‘The law says the candidate is the agent for the campaign. The candidate is responsible,’ Kitchen said. Did you notice how the people who say Lamberti will beat Israel are the same people who said Granteed would beat Israel? I did! Time to clean up the BSO starting with Lamberti.